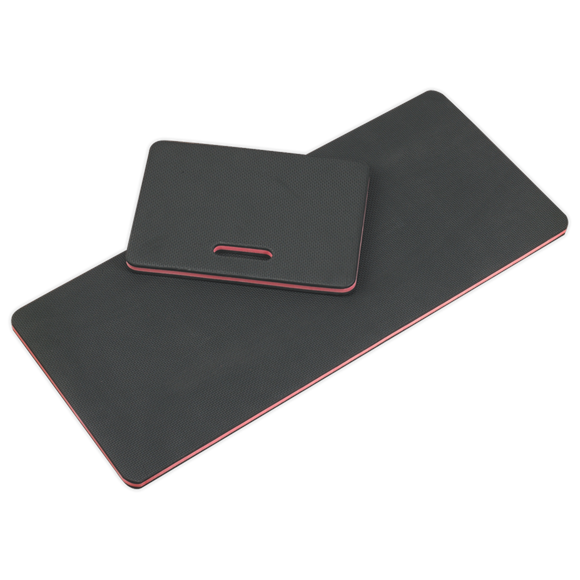 • Quality 22mm EVA mats ideal for the busy mechanic. 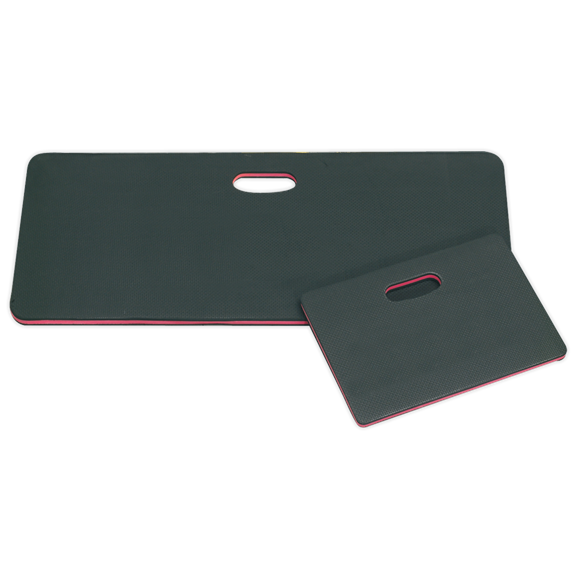 • Set comprises full length and kneeler mats. • For use on workshop floors when working on wheels, brakes, tyres and exhausts. • Also ideal for roadside repairs.